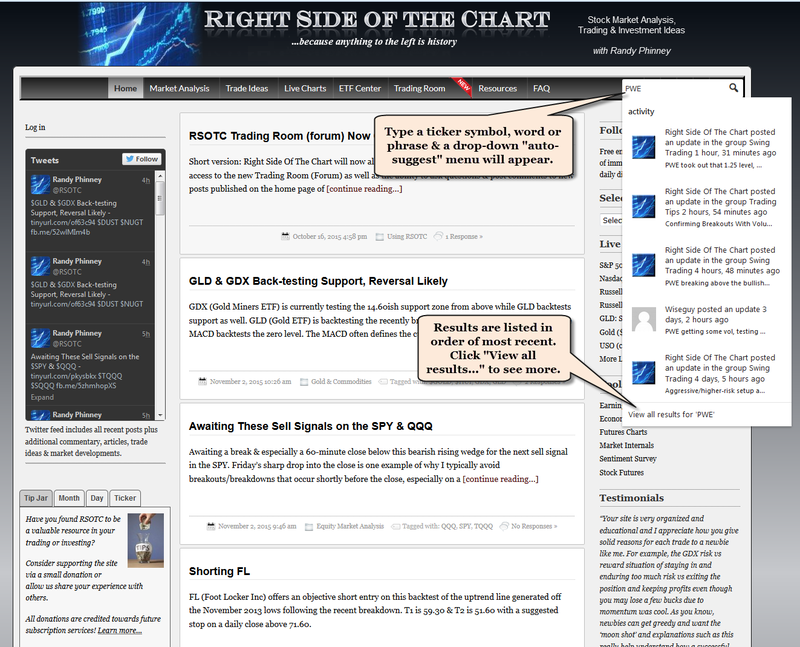 Following the recent additional of the Trading Room (forum) to Right Side Of The Chart, expanded functionality has now been incorporated to the search bar located on the top menu. 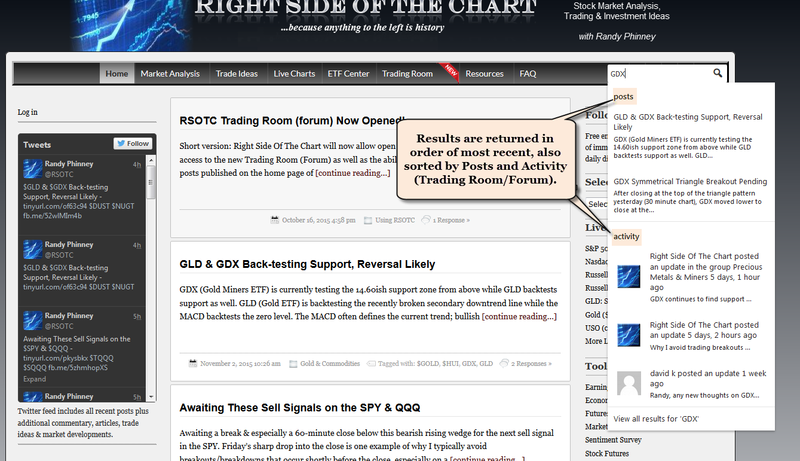 When searching for a particularly word, phrase, stock, ETF, etc., search results from both the Trading Room as well as all posts on the RSOTC will now be returned. 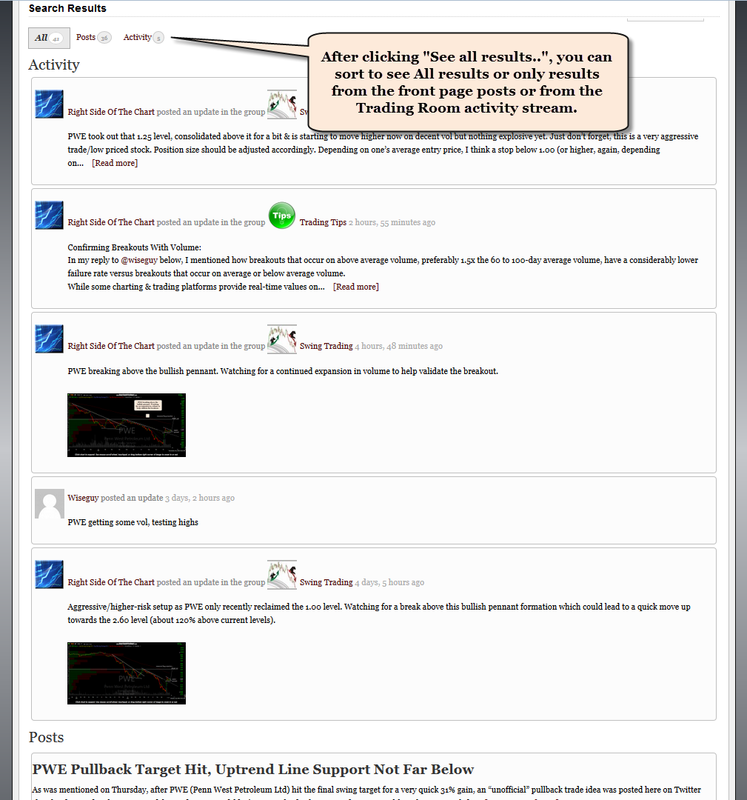 This new enhanced functionality should be particularly useful for those trying to catch up on the latest posts, charts and commentary on a trade idea as the “Posts By Ticker” symbol tagging system as well as the previous search function only displayed posts made on the front page of the site. For example, PWE was posted as a trade idea in the Trading Room on Thursday with stock triggering a breakout & gaining over 16% since triggering a breakout earlier today. Should someone have come into the Trading Room & noticed the most recent update on PWE, a search of the ticker symbol would have returned all the discussions on PWE in order of most recent. 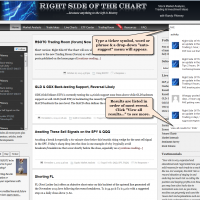 Another example is GDX, which has additional charts, commentary, Q&A, etc… posted in the Trading Room in addition to the GDX commentary & trade ideas posted on the front page of the site.